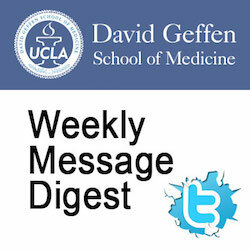 Posting: "Call for Applications: Master of Science in Clinical Research Graduate Program"
This MSCR graduate program is offered by the Department of Biomathematics in the David Geffen School of Medicine at UCLA. It is a two-year program, including the requirement of a research thesis, for those with career aspirations in academic medicine. Tuition source is required. Applications accepted until May 15th. Limited positions available for Fall Quarter start! Visit http://ctsi.ucla.edu/education/pages/tpts#track3 for further program and application details. Have a desire to become a successful patient-oriented investigator who can bridge molecular medicine and clinical research. Hold a professional degree in Medicine, Dentistry, Nursing, or other clinical discipline, or be a PhD scientist highly committed to clinical investigation. Have an affiliation with UCLA, Harbor-UCLA, Cedars-Sinai Medical Center, or Charles R. Drew University of Medicine & Science. This posting expired on March 14, 2019.